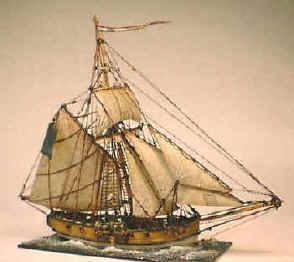 assembled, painted and rigged by John Westwood. The following models have been assembled from 'stock' kits, another page shows two adaptations. They have all been painted and rigged with the utmost attention to detail. The style and finishing touches are both exceptional and unique. display. These photos are just here for you to enjoy. 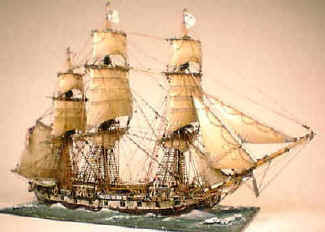 British Cutter - 1805 with studding sails set. 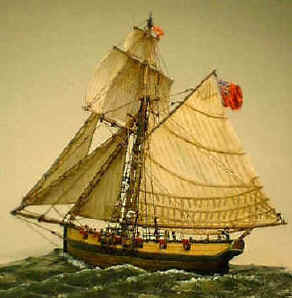 British Cutter at reduced sail. 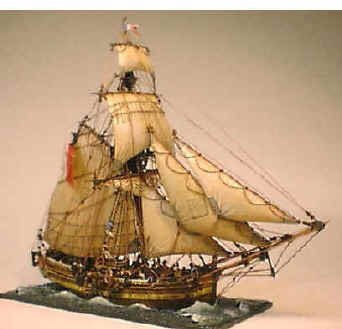 American Sloop of War: at easy sail with courses furled. Dutch Gunboat showing French colours.